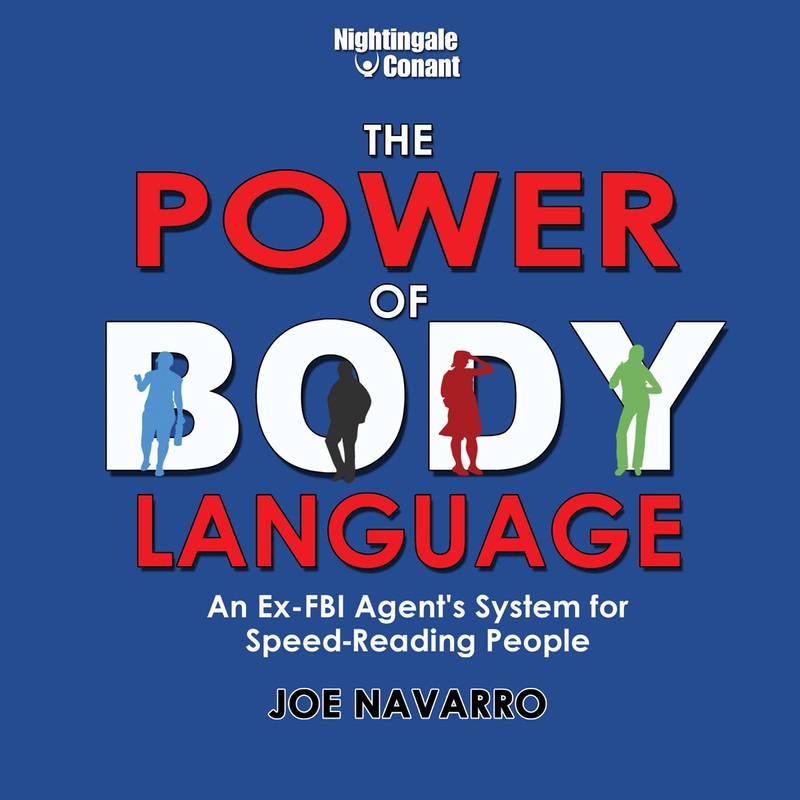 Special Report: Ex-FBI Agent and Forensic Pro Reports That 80% of All Communications Are Nonverbal. Is He Ready to Cut a Deal? The man sitting behind the desk was cool and relaxed and had an air of confidence. The fact was, he was low on the list of suspects in the murder case I was working on. He had a good alibi and only a loose connection to the victim. Still, from more than 25 years of dealing with the most ruthless and heartless criminals in the world, I know that looks can be deceiving. "Do you mind if I ask you a few questions about the murder weapon?" I asked. "No. Go ahead" was his cool reply. The murder weapon was my ace in the hole. Only I, a few of the other detectives, and the murderer knew what the weapon was. Fortunately, we had been able to prevent that information from leaking to the media. "If you did kill her, would you use a knife?" "Would you use a gun?" "No." Eyes steady, face calm. "Would you use an ice pick?" "No." But for a second his eyes fluttered, his lips tightened almost imperceptibly, and he looked down for a split second. That word - "ice pick" - clearly had a different weight for this man than the other weapons I had mentioned. I held my face steady and continued with a few more questions as if I hadn't noticed ... but in fact, I had noticed. Why? Because an ice pick was the murder weapon and this man had just moved from the bottom of my suspect list to the number one position. And, as it turned out, he was the murderer, and the case was solved by the fluttering of his eyes. Every day in your world, there are mysteries all around you. They are hidden in the body language of people you come in contact with. But, like most folks, you're probably running through life so fast, you don't stop and observe what's really going on. Very few people even think twice about nonverbal body signals that appear everywhere ... much less even notice them. But what if you could learn to unlock some of these mysterious nonverbal behaviors? How Much of Life Are You Missing Out On? Estimates range as high as 80%. That means that 8 out of every 10 "conversations" are never spoken... or 80 out of 100 ... or 800 out of 1,000. Let me introduce myself. My name is Joe Navarro. For 25 years, I worked for the FBI in counterintelligence and counterterrorism. Observing and interpreting nonverbal behavior was my life. The benefits in interrogation were staggering. And along the way, I learned how to enrich my life even more by applying these powerful nonverbal keys to everyday encounters. Once you learn the secrets of nonverbal communications, you'll be able to see and interpret the world in mind-boggling fashion. During a job interview, your interviewer continues squinting at you. What's she trying to tell you? Even though the poker player showed no change in his facial expression, I knew very quickly I'd better fold and not bet any more. Perhaps you would have played on? I noticed when a celebrity couple was recently photographed in public, they were all smiles. The man was delicately touching his wife's waist with his finger tips. Still in love? ... Probably NOT! After a long meeting, I was speaking with my client in the lobby. He was speaking freely and very politely, with a pleasant facial expression. Yet something about his nonverbal behavior told me he had to leave right away. When visiting a gravely ill lifelong friend in the hospital, I quickly noticed that whenever I came into view, he would quickly raise his eyebrows. Even though he couldn't speak a word, I knew exactly what he was "telling" me. Early on in the high-stakes negotiations, I noticed that the attorney for the other company barely said a word. However, while the contract was being read, I could quickly tell whenever he had an issue. What tipped me off and saved both companies valuable time in sealing the deal? I heard the woman calling her child. It was time to return home after a fun day at the park. The child did not utter a word in protest. Yet, I knew she had no intentions of leaving. What did the mother miss that could have helped make the transition easier and more enjoyable for both of them? After a hectic week, the husband asked his wife if she wanted to go out for dinner. "Yes, honey," she said and smiled. But there was something about her smile that said "No." What did the husband fail to observe that could have given their evening and relationship a big-time boost? So, no matter what the relationship, learning to quickly decode nonverbal signals will pay you huge dividends. Think about it. Your life is one constant relationship with other people. Knowing what they're "telling" you without their saying a word, well, that's pretty exciting. It's always been exhilarating for me. And there's no reason at all why you can't get in on all the fun and adrenaline rush. Just so you don't think that decoding nonverbal behavior is some sort of black magic, let me explain why it's possible. See, there's a portion of your brain called the "limbic system." Your limbic brain is where nonverbal communications are generated. It reacts to the world totally spontaneously and in real time ... without any thought required on your part. This means that the limbic brain is responsible for your instantaneous and honest nonverbal behavior ... you can't avoid or fake this. These honest actions portray themselves through your body parts ... feet, legs, arms, face, eyes, etc. So, you can see, the limbic brain provides all you need to decipher what a person is really "telling" you ... without their even knowing it! The edge you'll have in important "career" meetings ... knowing what everyone is "telling" you with his or her body language. How knowing what your spouse or life partner is nonverbally "telling" you in certain situations will help boost your relationship ... even add some excitement and romance. How observing and instantly decoding your kids' nonverbal signals could make your life and theirs a dream ... and a bunch more fun. The next time you're negotiating a deal for that dream car you've always wanted ... you'll know right away if the sales manager is being honest about whether or not there's still room for a lower price ... he won't have a clue. All the added excitement and fun you'll now have ... that others may totally miss out on. And I'm sure you can imagine endless encounters with people where you can benefit even more. And that's where I come in ... to help you quickly master all this. YES, I want to master the secrets of nonverbal communications to gain a significant advantage in my career and in my relationships. Well, to help folks like you master nonverbal communications, I created the easy-to-follow "10 Cardinal Rules of Nonverbal Communication." As you quickly learn how to incorporate these rules into your everyday life, it will become second nature for you to interpret nonverbal behavior ... it will become automatic. It will be like learning how to ride a bike or drive your car. Remember how excited you were when you mastered those ... how they opened up an entire new world for you? Once you master the 10 Cardinal Rules, you'll see how totally rewarding 80% of the communications you've been missing can really be ... and using the rules can be downright fun! Cardinal Rule #1: Be a competent observer of your environment. This is the most basic requirement for anyone wishing to fully master the benefits of nonverbal behavior. The problem is that most people spend their lives looking ... but not truly seeing. I can instantly show you how to observe without being intrusive. Cardinal Rule #2: You have to observe all nonverbal communications in context. This involves learning how to filter some out and understanding those nonverbal signals that are expected. For example, if you came upon a traffic accident scene and observed people in shock walking around dazed ... don't you think this type of nonverbal behavior is expected? Of course it is. So, learning how to observe expected behavior in the context of the situation is key. Once I demonstrate to you how to decode expected nonverbal behavior, you'll quickly decipher that which is not. Cardinal Rule #3: Determine if the behaviors you're seeing are limbic or cultural. Your limbic system is the part of your brain that reacts reflexively and automatically to the world around you. It is the honest part of your brain that generates the instantaneous nonverbal signals that we're most interested in. As far as cultural behaviors, they are obviously based on a person's environment and upbringing. For example, in some cultures, shaking your head from side to side actually means "yes." So, being able to determine and decipher these two types of behaviors is important in getting closer to understanding what a person is really "telling" you ... and I'll help you do just that. Cardinal Rule #4: Determine whether the behavior is unique to the individual or not. There's plenty of universal behavior out there. But observing and learning nonverbal behavior unique to an individual is an important element. Why? Well, understanding the person's unique behavior helps you better understand the communication. For example, when I get stressed, I raise the pitch of my voice. If you knew this, you would be able to know when I'm stressed and be able to act accordingly. I'll show you how to decipher this and use it to your benefit. Cardinal Rule #5: Look for clusters of behavior. You may have already guessed that people don't always send just single nonverbal signals. The more signals you understand, the better your chances of deciphering the full picture. For example, in a business situation, if I see a competitor display a pattern of nonverbal stress signals followed closely by pacifying behavior signals, I can be more confident he is bargaining from a position of weakness. Clusters of behavior provide you with more assurance that what you deciphered is accurate. I'll give you plenty of examples of what to look for here and show you how powerful interpreting cluster behavior really is. Cardinal Rule #6: Establish an individual's baseline behavior. Without doing this, you'll have a difficult time deciphering his or her behavior. By observing and examining what's normal behavior, you'll begin to recognize and identify the abnormal ... which you're most interested in. You need to differentiate between what the person's normal face looks like, compared with one that's stressed. I'm ready to tell you more on how easy this is to discover. Cardinal Rule #7: Look for changes in the individual's behavior that can signal changes in thoughts, emotions, interest, or intent. This goes hand-in-hand with #6. Once you have established a person's baseline behavior, you're ready to look for spontaneous changes that tip off what the individual is really "telling" you. These automatic behavior changes happen because of a person's limbic brain ... changes that happen immediately in real-time. For example, let's say on Friday you let your spouse know that on Saturday you've planned a night out with the guys (or gals). Your spouse might smile and say, "Great! Go have a good time," but inside he or she is actually irritated. And you know because his or her limbic brain created nonverbal behavior spontaneously and involuntarily, letting you know his or her real thoughts. Cardinal Rule #8: Learn to identify misleading or false signals. As you know, I spent a good deal of my life interviewing/interrogating people. Some of them were very good at trying to cover up and mask their immediate nonverbal reactions. I'll give you some simple steps on how to read this and focus in on their initial spontaneous reactions ... the most "telling" nonverbal signals. Cardinal Rule #9: The observations you make should be nonintrusive. This simply has to do with not making your intentions obvious when observing people's behavior. For example, I remember the first time I went to work in New York City. My first day there, I was on the subway. A man next to me was displaying some really interesting nonverbals, and I was intently "observing" his every move. But I was doing it all wrong ... and he could feel it. It wasn't long before he turned to me and abruptly said, "Did you lose something on me mister?" I quickly discovered that there is a right and wrong way to observe nonverbals. I'll show you how to do it right. Cardinal Rule #10: Any time you observe a behavior, determine if it's from comfort or discomfort. You'll learn that most behavior triggered by your limbic brain falls into these two categories. This is fundamental to how I teach nonverbal communications. Learning to identify comfort and discomfort behavior accurately in others will help you better decipher what their bodies and minds are really "telling" you. She Said 'YES,' but What Were Her Nonverbals Saying? Julie, a human resource executive for a major corporation, told me she began noticing nonverbals after attending one of my seminars. She put her knowledge to good use just a few days after returning to her job. "I was responsible for selecting company employees for overseas assignments," she explained. "However, when I next mentioned that the destination was Mumbai, India, her positive nonverbals shut down completely. Clearly something was wrong. Noting the change in her body language, I asked why she didn't want to go there. "She was astounded. 'Is it that noticeable? I didn't say anything. Did someone else say something to you?' she asked in a startled voice. "It was obvious she did not want to go to India, and her nonverbals left no doubt about her feelings on the matter." Think of what Julie saved her company by quickly identifying the candidate's true feelings. All sorts of time and money could have been wasted if Julie hadn't been aware of this slight nonverbal "comment." Been in a situation like this before? Wished you could read what the person was really "telling" you? I'm going to give you the secrets to quickly decode these kinds of situations and unlock the mysteries in your own life. "A masterful work on nonverbal body language by an exceptional observer. Joe Navarro's work has been field-tested in the crucible of law enforcement at the highest levels within the FBI." "Joe Navarro is THE man. This guy knows what he is talking about, and if you wish to increase your net worth, I highly recommend you listen up and listen up real good." "After 25 years of studying 'Spies,' Navarro gave us some great ways to decipher lies ('tells' in my business) – I took 4 pages of notes! More importantly to those of you thinking of hiring him, he was incredibly entertaining, and held us all in the palm of his hand!" "One of the Best Presenters in America!" I'm not sure which nonverbal behavior will give you the biggest advantage ... but after you go through my program, you'll definitely know. Here's a quick overview of what I'll give you inside the program. Session #1 – The limbic brain and how it works to protect you and help you deal with comfort and discomfort levels. Session #2 – Mastering the 10 Cardinal Rules – Plus, more on why the feet are the most honest nonverbal communicator and get a "leg up" on why they "tell" all. Session #3 – Discover how the hips ... the torso ... the shoulders work alone and together to help you decipher what's really being "said." Session #4 – Even though your neck is composed of critical nerves, arteries and veins, and muscles and cartilage to hold up your head, it is one of the most neglected areas for nonverbal observation. Session #5 – Learn what nonverbal signals are sent by the way people touch themselves and other people around them. Session #6 – Even though people work hard to mask their true emotions with their face, discover how certain signals from the eyes are automatic ... and cannot be faked. Session #7 – Discover how creating a comfortable environment is crucial to your success in observing and deciphering nonverbal behavior. Session #8 - Understand the use of situational nonverbals – how to put what you've learned into practice. In addition to these seven comprehensive audio segments, I will send you a complete workbook containing written descriptions, pictures, and examples of each nonverbal. You'll have everything you need to master this powerful skill. What Would Mastery of The Power of Body Language Mean to You, Your Family, and Your Lifestyle? For me and the elite few who have mastered the skill of observing and deciphering nonverbal body language, our lives have changed forever. There's absolutely no price I can put on the value of this skill ... I'm sure those who have mastered it would agree. The powerful secrets you're about to discover are typically available only to two different groups: Those who attend 2- or 3-day seminars and pay well over $1,700 for the privilege of mastering the nonverbals. The second group is FBI agents. They devote their entire lives to earning the right to sit in my training sessions. Thanks to Nightingale-Conant, you're not going to pay thousands, or put your life at risk, for the chance to be part of the elite group that has mastered The Power of Body Language. The fact is, with the combined information on the digital download and the resources found in the workbook, you'll be getting more than most seminar attendees ever get. I was with a client eating dinner at a popular Mexican restaurant. My client was very keen on learning about body language and pointed to a couple seated at a table nearby. He asked, "Based on what you see, do you think they're getting along with each other?" As we observed the two diners, they appeared comfortable enough. But as the dinner and conversation progressed, their position at the table changed. My client, seeing a few apparently obvious nonverbals, immediately thought things were going sour between them. I suggested that he not look at just one or two obvious behaviors and told him about what I call "the most honest part of the body." We moved our attention to the nonverbals that that area was sending, and I assured him that here was a couple still very much in love. "That behavior is important," I noted. "It shows they still feel connected." When the couple got up to leave, the man put his arm around the woman's waist and they walked out without saying another word. But they didn't have to ... their nonverbal signals "said" it all. What Is the Most Honest Part of the Body? This cool story raises another key point I bring out in the program. People observing others tend to look at just the person's eyes or face. But you'll find out that some people work very hard at masking their facial expressions. Well, I can tell you ... the feet are the most honest parts of your body. It's the very first part I focus on in training people how to observe and decode behavior. It's the first body part you'll learn about in my program. You'll learn things about your feet you never thought about before ... and how your limbic brain spontaneously calls the shots. All this to help you enhance your life and be a better observer of your surroundings. You now have the keys to unlock this wonderful new world. Do it today. Right now you are missing out on 80% of all this going on around you. When you order The Power of Body Language, you will immediately be among those unique individuals who truly see and understand 100% of the world they live in. I don't know what aspect of life will improve the most for you once you have these keys in your hands. Will it be your relationships? Your income? Your peace of mind? Your status? Your job or company? I don't know ... but you will know once you discover the power of nonverbals. P.S. How often does something come around in your life that makes such a profound difference no matter what you're doing? Not very often, I'm sure. The world around you is on the move ... more now than ever. And you know, what's happening out there is NOT all good. So, you need as much of an edge as you can get on your job ... in your relationships ... and in your everyday encounters with people. And most of all, you deserve to have more fun and enjoy your life to the fullest. So, take action right now and give yourself the advantage you desire and deserve – order The Power of Body Language program. P.P.S. Eighty percent of life is a lot to miss out on, wouldn't you agree? The next time you're looking across the table at someone, I don't want you to be left wondering, "Is she reading my nonverbal signals? What am I 'saying'?" Believe me, I don't want you to be in this situation. You deserve to know what's going on and have a blast doing it. So, get The Power of Body Language today. In a matter of days, you can unlock the intriguing mysteries of nonverbal behavior and send your life soaring. I'm ready to become the 80% of my life I've been missing! I want to master the secrets of nonverbal communications to gain a significant advantage in my career and in my relationships. Please send me Joe Navarro's audio program The Power of Body Language, at the special price below. - I can select one of two ways of ordering.